Matters ARISING is the news update of the Africa RISING program. It brings you news and updates on from our projects in East, West and Southern Africa. Download a print version – or sign up to get Matters ARISING in your mailbox . In the first year of the program, to produce some short-term outputs and to provide outputs that support the longer term objectives of the individual projects, Africa RISING decided to fund several ‘quick win’ projects in each of the regions. The approved projects resulted from a call in each region and an assessment of the proposals using criteria developed by IITA, ILRI, and USAID. The Africa Research in Sustainable Intensification for the Next Generation (Africa RISING) program comprises three research-for-development projects supported by the United States Agency for International Development as part of the U.S. government’s Feed the Future initiative. This program document outlines the underlying principles of and implementation plan for the research that will be undertaken by the three Africa RISING projects in West Africa, Eastern and Southern Africa and the Ethiopian highlands. This Africa RISING supported project aims to analyze the impact of three agricultural production systems –conservation agriculture, continuous no-till maize and conventional tillage — on food production, soil fertility and quality, human nutrition, resilience to drought and climate variability and change and household income in Malawi. While improved varieties can give farmers increased yields, the percentage of small-scale farmers in sub-Saharan Africa growing them is very low, especially for legumes. One reason for this is the unavailability and unaffordability of the seeds. The early win project on ‘Multiplication of breeder and basic seed for Maize and Legumes in Tanzania, Malawi, and Zambia’ aimed to speed up the production of breeder and foundation seeds of improved varieties released by researchers to make them available to farmers. Mycotoxins are deadly chemicals produced by naturally-occurring fungi which contaminate key staples crops while in the field and in storage and adversely affect the health of human and livestock. This quick-win project entitled ‘Mycotoxin contamination in Tanzania: quantified the problem in maize and cassava in households and markets’ was the first such comprehensive study ever to determine the prevalence of mycotoxin contamination. In Morogoro, one of the major rice producing areas in Tanzania, the farmers use residue water from rice irrigation to grow vegetables for additional income and to improve their nutrition. They however face many challenges, which the early win research project on “Enhancing vegetable value chains in rice-based and sole crop production systems to improve household income and consumption in Morogoro” aimed to identify. Weeds are one of the major constraints to rice production in sub-Saharan Africa. Without control, they can cause yield losses ranging from 28% to 89%. 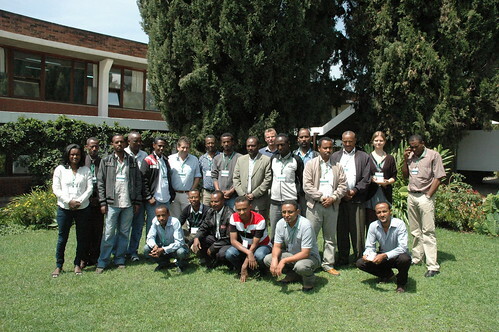 This early win project on ‘Building local capacities in weed management for rice-based systems’ led by the Africa Rice Center (AfricaRice), sought to remedy this by creating awareness on available and appropriate labor-saving and efficient weed management practices to boost the crop’s production. As part of the feed and fodder early win project, three reports were recently produced for the Ethiopian Highland project of Africa RISING.These reports offer pictures of how the livestock and farming production systems in the three Africa RISING priority districts of Sinana, Horro and Lemu-Bilbilo were characterized using the Feed Assessment Tool (FEAST). FEAST is a systematic and rapid method to assess local feed resource availability and use at site-level. 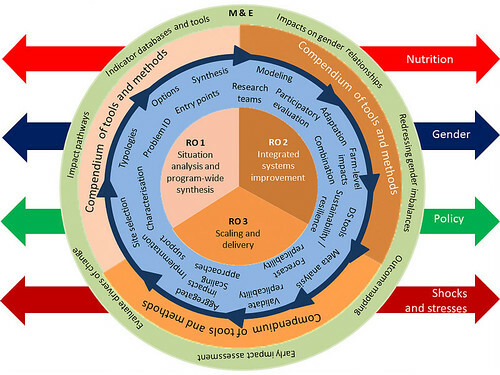 It helps in the design of intervention strategies aiming to optimize feed supply and utilization through technical and organizational interventions. In April, the Africa Research in Sustainable Intensification for the Next Generation (Africa RISING)and Nile Basin Development Challenge (NBDC) jointly organised Training of Trainers workshop in the use of SLATE: A tool for Sustainable Livelihoods Asset Evaluation. This is the story of Worknesh Gurmesa a farmer in Chelanko Kebele. This story explains the importance of women’s inclusion and how access to markets affects as well as changes lives. Rural livelihoods in West Africa are mainly agro-based and depend on crop and livestock production, processing, and subsequent marketing. 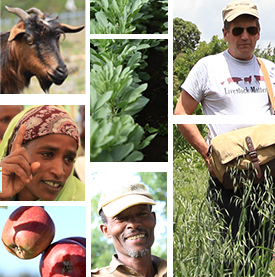 Farmers produce cereals, legumes, vegetables and fruit trees and keep livestock. However, optimal system productivity is limited by socioeconomic, biophysical, institutional, financial, and sometimes, policy constraints. This report summarizes the results of discussions with 47 communities and local leaders undertaken by a multidisciplinary facilitation teams in project sites in Ghana. 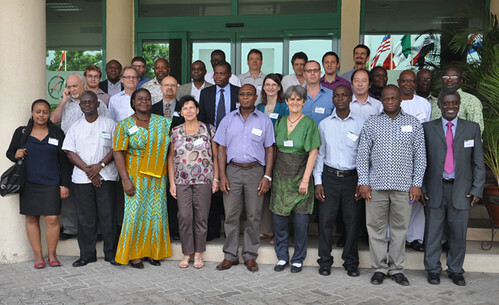 From 23-25 January 2013, the West Africa project component of the Africa RISING program hosted a number of consultations in Accra, Ghana – a stakeholder meeting on 23 January then a West Africa steering committee meeting on 24 January. The West Africa project of the Africa RISING program has been bustling with activities: The review and planning meeting for year one was completed in October 2012; In addition, the Africa RISING teams from Ghana and Mali have recently been reporting about a lot of other activities taking place in the region. USAID, USDA, CGIAR and other partners are developing ‘inventories’ to help drive widespread adaptation, dissemination, and adoption of critical agricultural technologies. The inventories will provide a technical evidence base to help scale up appropriate technologies to greater numbers of smallholder farmers. The need to grow more food without depleting important natural resources makes the intensification of African agriculture essential. In two short articles in IITA’s R4D Review Bernard Vanlauwe, a a key member of the Africa RISING team. introduces IITA’s NRM research in the new CGIAR ‘Humidtropics‘ research program and elaborates on the use of integrated soil fertility management (ISFM) as a framework for raising crop productivity. Tags: Matters ARISING, roundup. Bookmark the permalink.